Let’s talk about law and justice. Whether your exposure to the world of crime is limited to suspense television shows and action books, or you’re the more hands-on, living-on-the-edge type (oh, you little rebel! ), law talk always appears every now and then. And of course, big words like this need to be interpreted perfectly, otherwise, horrible misunderstandings could well land you somewhere undesirable. 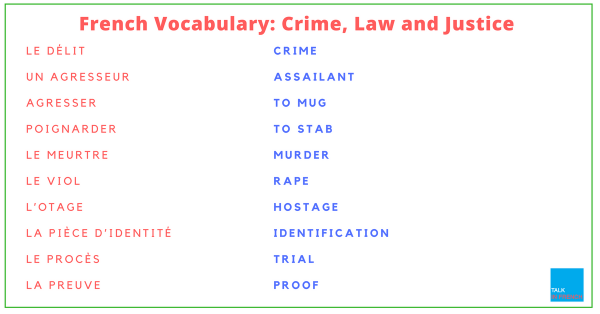 So for this vocabulary list, we give you some useful French words related to law, justice, and crimes. Who knows, this might come handy sometime soon. 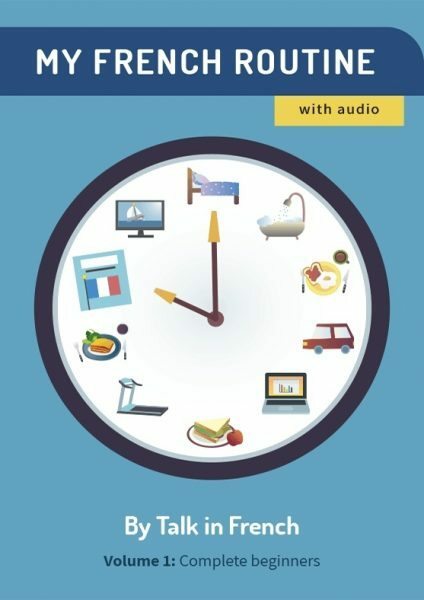 If it doesn’t, then simply bask in the knowledge that you know these law words – in French. 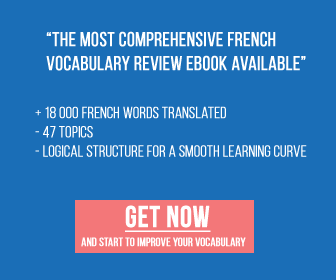 Please tell us in the comment section if there are some vocabulary topics that you would like to review.